Contact us if you are interested in joining our team as a writer on the subject of landscape architecture. *This article is part 2 of a 2 part article. You can find Part I here. How does proximity to the urban core affect an urban park? So the adage of location, location, location holds true with parks. However, location, doesn’t necessarily mean downtown. Location means insightfully planned spaces that have a direct relationship to the surround communities and the needs of those communities. As cities densify and grow, investments will be made to build the city park stock and as means for enticing new residents. What, if any, benefits come from the combination of public/private investments? When public dollars mix with private funds, the opportunity exists for abuse and the misalignment of public money from the public goals. While this is not often the case, it certainly garners the attention of the media. A quick search for controversial uses of public funds in parks will turn up several articles. Here are a few examples. Are passive parks still relevant? What purpose do they serve today? A panel at the 2016 ASLA Meeting in New Orleans (The Primacy of Programming: Is it Lowering the Value of Design?) brought up a point of contention that exists between some designers and organizations like PPS. With all investors looking for a high ROI, designers are constantly, subtly if not directly, pushed to inject a variety of programming into urban parks. We should be asking ourselves how to do this in a way appropriate to the with the other needs of the site and if that is always the primary goal. Having a good understanding of the dynamics and the effects of active and passive programming will help designers appropriately meet the various needs of the community. How does a park inject value into an urban area? Are they amenities or assets? Is gentrification by way of urban park important, vague, meaningless, to be avoided, or unavoidable? Can parks provide social equity? Gentrification has been a trending topic over the past decade, but is by no means a new topic. Social reform and the restructuring of the classes has always impacted our cities and mixed the politics of parks. We can look back to historic examples like Seneca Village, the once run-down community found on what is now known as Central Park. Even modern urban values push out those with less power and privilege. Our national Olympic venue models do this year after year. Here are some articles where you can explore gentrification further. Are urban parks social infrastructure? As we step into the summer, be sure to get out and visit your parks. Pay attention to who uses the parks, what they are using at the park, and how they are using the park. Parks are nothing without people. Pay attention to the people. Design for the people! *A special thank you to each of the professionals who took the time to share their thoughts and years of experience with our audience. Your valued input and insight pushes the envelope of design, public engagement, and healthy cities. Thank you. 6. 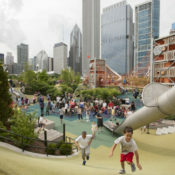 Maggie Daley Park (Chicago, IL) | Michael Van Valkenburg Associates, Inc.
Cameron R. Rodman, Associate ASLA, is a Landscape Designer at Stewart Inc., a multi-disciplinary design firm in Charlotte, NC. *This article is part 1 of a 2 part article. You can find Part II here. The urban park has become the object of fascination and desire of many cities across the nation and the world. Everyone wants their sleek version of the High Line. Outside onlookers fantasize of their chance to make a name for their city and reap the benefits of such a wild success story, both financial and social. It would be easy to assume that projects like the High Line hold in themselves the recipe for creating an assemblage of prosperity, cultural vitality, innovation, creativity, and in the end, success. But is that what we find beneath the surface when we more deeply examine the phenomenon of urban parks like the High Line? To find out more about the High Line, you’ll have to visit the park itself or read another article. It was our interest at Land8 to get down to the core of what makes urban parks successful. What attracts users? What ensures the care and longevity of a park? To do this, we reached out to a variety of landscape architects, landscape designers, and urban designers to get their thoughts on urban parks. They weighed in on what helps to create these special places in the hearts of our cities to a point of success and lasting memory. Our respondents were Courtney H. Landoll, ASLA, PLA, Parks for People Project Manager, The Trust for Public Land; Carmine Russo Jr., PLA, ASLA, LEED AP BD+C, Partner, REALM Collaborative; Ryoma Tominaga, Senior Project Manager, Michael Van Valkenburgh Associates, Inc.; Matthew Bird, PLA, Senior Associate, Michael Van Valkenburgh Associates, Inc.; and Patrick Stout, ASLA, PLA, Rundell Ernstberger Associates. A series of questions were provided to the group and their responses may just change how you previously thought about urban parks and the value that parks bring to a city. The purpose of this variety of questions was to encourage open thought and dialogue on urban parks with little guided direction. While common threads wove throughout their responses, variations therein, brought to the surface the deeper more important issues and challenged the notion that plug and play design concepts are responsible or even beneficial. Have you noticed any trends in Urban Parks? At the core, parks often become reflections of the values which are in place, driving the direction of the investments within the city. Priorities will often surface in the public realm and a multitude of issues influence this decisions. While we have trends that are emerging around things like tangible objects, (i.e. splash pads, beer gardens, etc.) trends also exist which are intangible in nature and call the designer and the community to look beyond the physical and require them to examine what the object is achieving and/or providing. What needs are being met or need to be met? Do unifying central identities need to be developed for a city or does the city need to restore forgotten places? What role does programming play in activating the community? It seems that no matter the trend, value systems exist that press at the boundaries of what our society is willing to accept and stretch us to consider alternatives to traditional approaches. These design exercises in current trends require us to place value either in a physical interpretation or in a perceived reality. These choices construct a very real sociological paradigm which is either met with glowing support or vehement opposition. What should one not include in an Urban Park? Stout and Landoll both recognized the need to be mindful of the materiality and elements included. While at one time it was considered fashionable to design large expansive concrete plazas and sunken amphitheaters, these are now seen as undesirable and have even become associated with themes of vacancy and dereliction. Awareness will play a large part not only in considering what elements to design into a park but which elements and programming are hindrances to creating successful spaces and valued public spaces. While there are a variety of elements that one can have in an urban park, are there some essentials? Designing for the unknown and the people are key elements for creating successful parks. 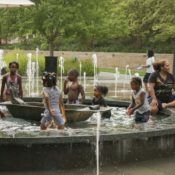 While some parks are designed for specific uses and programs, many urban spaces need to have the ability to invite the community into its spaces. Designing spaces that allow for choice and expression of self are great ways to give back to a community and provide opportunities where they can come together no matter their personal interests or place of origin. Variety only increases the usability of each park. After all, that’s the point of most urban parks, to get people to visit and service the needs of the community. What is core to designing a successful urban park? So while variety is good, a mindfulness needs to exist in the planning phase. Having an accurate awareness of the existing desires and the potential opportunities that exist in a site and the surrounding community will ultimately have great influence on the design. Success is found in revealing and empowering desires of the community. Without the input of those invested individuals, we end up with spaces which lack diversity and eventually fade. This ends part one of our two-part article. You can find Part II here. Innovation is time consuming, mentally challenging, and potentially unpromising. So why do some designers put in so much of their time and effort without a promise of success? What drives design innovators and what are they looking for? Innovators are unique individuals. They are often driven by an internal desire to press forward into the unknown and take calculated and, at times, foolish risks with the hopes of making life more prosperous, cities more intelligent, tools more functional, and humanity happier. They are individuals that “trace the edges” (Cantrell) of contemporary and emerging technologies, theories, and practices. As our cultures continue their ever maddening and relentless march onward, the individuals highlighted in Innovations in Landscape Architecture are on the frontlines of innovation seeking answers to questions without answers. They seek to challenge the everyday and stretch the boundaries of design. 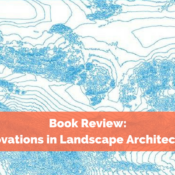 In Innovations in Landscape Architecture, Jonathon R. Anderson and Daniel H. Ortega curate a diverse set of essays on progressive toolsets, processes, and provide four innovative profiles. Technological innovation is one of those realms which can be exciting and at the same time, emotionally defeating. Technological innovation often introduces toolsets and knowledge well before a need might exist or before the results can be fully understood, realized and integrated into society. Because of this, some may see projective ventures as fruitless endeavors which lack relevancy. At times, innovations are developed in one field where they lack relevancy. Later, they may be introduced into another field where their full potential is actualized. Surely Olmsted was heavily criticized by some for his innovations in performative landscapes such as the Back Bay Fens. It wasn’t until the past fifty years that we truly have begun to understand the value of ecological systems design in the realm of urban environments. It is this forward thinking that explores beyond current knowledge and understanding, and which reveals the unknown. These discoveries propel us forward. In section one, Innovative Tools, a variety of emerging toolsets, their current uses, and their perceived value and trajectory within our field are explored. As designers, we have a distinct relationship with our tools. They evaluate, illustrate, analyze, project, and manipulate our media; the landscape. A few key themes flow through the seven chapters in section one. Data as landscape. Landscape architects now have at their disposal several datasets and tools to collect data. But what should they do with this data? To what end should we collect, analyze, interpret, and project meaning? Should we only gather data as a means for reflecting the existing states or their potential to project futures accurately? Data is quickly becoming a real part of our physical and cultural landscapes. It is dynamic and flowing in our cities and homes. 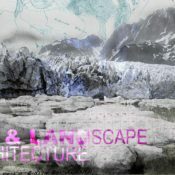 The agency and role of landscape architects and landscape architecture. A few authors claim that designers have an ethical obligation to treat these tools as something which are embedded with a degree of agency. But is it the role of landscape architects to direct this power? Role of users to the digital interface. If designers have influence over the shaping of our environment, then certainly these designs are also a byproduct of the user interfaces found in our toolsets. This begs the question, are our user interfaces designed to function in a way that promotes the clear and honest influence of our humanity into our designs or are they restrictive, leading to an impure translation of values and design intent? Representation as communication. We are currently in a representation rich time in the world of design. Two points are made in this section which seek to expand and thicken the meaning and purpose of design representation. In one chapter, we are challenged to create drawings which are “accessible” and which have agency to create ethically informed change. But is it the responsibility of the designer to “reveal hidden factors”? For it is known that “what we see and share is what we talk about and design” (McCown & Zawarus). In another chapter we are challenged to use representation to communicate dynamics and change. If the information we model and represent is dynamic, then our representations should begin to harness this dynamism in a way that communicates change, fluidity, ranges, and movement. Tools are not the only thing which develop over time. Processes, theories, and ideation also should be developing over time. Like financial investing, knowledge compounds over time. As ethics, politics, regulations, and cultures develop, it is inevitable that creative processes which direct the design of landscapes develops simultaneously. The essays presented in section two each challenge conventional thought, seek to expand existing processes, and aim to bring together disparate ways of seeing the world. This past decade has seen an explosion of events worldwide. This is no more evident than in our political landscapes and our ethnic landscapes. But what does this have to do with landscape architects and design? Some designers believe that landscape architecture is imbued with a high degree of agency which not only reviews and interprets our surroundings but that it has the power to respond to dynamic sociocultural process as a creative catalyst for design generation (Hirsch). This takes current understanding a step further than most people allow. In past decades, we have recognized the ability of landscape design to provide contextual relevance. But now we are beginning to see landscape design as something that can change and direct culture and society. Hirsch writes, as did Mayer, that there is a responsibility on the designer to reveal the identity of a site and not merely camouflage it from its historical identity. In a world where we are asked to simply maximize the buildable area of a site and provide value into a site, we may be losing the preexisting value of place and historical context which can influence future development. Anderson and Ortega did not stop at technological trends and speculative ideologies when writing this book. They provide a few brief interviews of current professionals and university programs. Respondents were asked five questions. How do you understand design innovation? How has innovation evolved your practice/program? To what level does interdisciplinary define innovations? How do you create a platform or infrastructure to facilitate innovation? Have you critically examined or assessed this? What role does innovation play in our future practice/education? This is certainly one section in the book that could have been significantly expanded. A variety of ideologies were presented in response to the five questions. One such hot topic was the mixing of professionals within the design disciplines. This is a rising trend in design colleges across the nation where we see architecture students designing performative landscape, green roofs, and urban spaces and landscape architects are designing site furnishings and structures which blur the boundaries of the inside and outside. While one respondent expressed their preference to collaborate and live with invisible boundaries in practice, another expressed a firm belief that one should first develop a strong sense of self identity found in their respective disciplines. 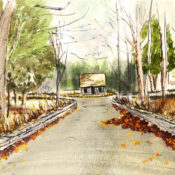 Respondents also varied in their responses to the value which a participant brings to the table in collaborative works. Over all, the book has an excellently curated selection of innovative tools, processes, and profiles. It certainly could be expanded to additional volumes and extended over time. A few chapters are inaccessible and lack clarity, but after heavy critical reading, one can eventually tease out primary concerns and meaning. If you find yourself looking to expand your knowledge on current and developing tools and processes, this is definitely the book to read. Cover to cover, the pages drip with innovation and will challenge and inspire you to “trace the edges”. Cameron R. Rodman, Associate ASLA, is a Landscape Designer at Stewart Inc., a multi-disciplinary design firm in Charlotte, NC. Cameron is also currently a writer for Land8.com and writes on a variety of topics including event coverage, GIS awareness, book reviews, and current landscape architecture designs. Cameron recently completed a year long term as the National Student Representative to the ASLA Board of Trustees where he enhanced social media communications, chapter president training, and student-professional engagement. Cameron’s current work includes a variety of projects ranging in site scale and programming requirements. At Stewart Inc., Cameron is helping lead the development and implementation of GIS tools as a means of site analysis, site design, storytelling, and public engagement. .
New Orleans is one of the few distinctly diverse places in the United States where there exists a rich sense of place. From a history rooted deeply in its multi-cultural backgrounds derived from French, Spanish, Haitian, African, German, and Irish peoples. This bouillabaisse, of sorts, has come together over the past few centuries to become a place that many people love to call home and to travel. There might have been a few places so fitting to host this year’s ASLA (American Society of Landscape Architects) Annual Meeting with the tagline ‘A Celebration of Place.’ Attendees began arriving as early as Wednesday and Thursday to spend time traveling the city sampling and tasting the local Cajun food and po’ boys and to visit the lush landscapes and habitats that make up a small portion of the Mississippi Delta. One truly needs a few days to absorb the laissez-faire atmosphere to truly gain an appreciation of this unique place. With the background and atmosphere set for the Annual Meeting, thousands of landscape architects, planners, urban designers, and civil workers descended to New Orleans for four and a half days of workshops, tours, educational sessions, general sessions, and nights out on the town. Speakers and attendees came from all over the world to teach, learn from, debate with, and inspire each other on a variety of topics. Sustainability, place-based design, emerging professional’s issues, women in landscape architecture, technology, the changing design practice, water resources, communication, the National Park Service, equity, diversity, and biology were just a few of the 130 unique opportunities offered. The relevancy of the landscape architect has never been more pressing than today. Landscape architects are equipped to not only answer today’s design questions but to take positions of leadership in defining innovative methods which rise to meet the many current demands found in every community. Friday, by far was one of the more relaxing days for attendees with numerous chances to mix with each other and get out into the surrounding city. There were also numerous opportunities to buckle down and prepare for upcoming deadlines and priorities by receiving training and a healthy dose of technical knowledge. Emerging professionals were brought up to speed with technical sessions on ‘How to Prepare’ for the LARE and for ‘Section 4’ of the LARE. With the recent acquisition of SITES by Green Business Certification Inc., as well as the availability of the SITES AP credential, it only made sense to have a workshop to cover SITES submittals and common challenges. There was also a prep session for those seeking to gain accreditation by the Landscape Architectural Accreditation Board (LAAB). For those who wanted to entertain their more adventurous side and explore, there were available a large selection of field sessions. From parks to plantations, rivers to gray infrastructure, zoological gardens to residential gardens, and even kayaking on the Atchafalaya, most every variety of landscape exploration was available to be taken in and enjoyed. While the venue and host city alone were enough to draw a crowd this year, the attendees likely were even more impressed and inspired by the general sessions and educational sessions. One large focus this year was the issue of diversity. Due to the nature of rising political undertones, large social angst, and the creation of the new ASLA Professional Practice Network ‘Environmental Justice,’ the stage was set, quite literally, to bring a defining tone to the Annual Meeting which wrestled with this issue in detail at large. Sunday’s general morning session ‘Designing for Diversity/Diversity in Design’ was very relevant to both the state of our nation and our profession. The panel was excellently crafted to include a diverse group of professionals with a range of races, cultural backgrounds, sexes, sexual orientations, ages, and practice types. The panel was moderated by Kona Gray, ASLA (EDSA) with panelist Diana Fernandez, ASLA (Sasaki), Mark Rios, FASLA, FAIA (Rios Clementi Hale Studios), Lucinda Sanders, FASLA (OLIN), and Ron Sims (Washington Health Benefit Exchange Board). The panel was very familiar with the issue of social diversity and inclusion. Mark Rios shared some insight into the intentionality of his office and their decision to create a culture which not only seeks to design for inclusivity, but one which itself operates from a place of diversity. Owning the goal of encouraging diversity, his office looks to create an ever-diverse employee base. They engage this diversity through age, gender, languages spoken, belief systems, international travel, and regional heritage. An office of this type is certainly set to adapt and relate well to our diversifying country. But Rios made a key statement which has been missing in the conversation of diversity. He, and Sanders to a degree, spoke of diversity in a different tone than previously heard before at a national meeting. Their point was one of inclusion and expanded the conversation of diversity. Rios made a point that even skin color can be a misleading source of information. That while one might assume those who are a person of color would have a greater experience in diversity, this is not always the case. And in some instances, with those whom he knows, both Caucasian and people of color, it is sometimes not. Sanders went on to expand the conversation to that of a humanitarian note. Preceding this panel, and for some sessions afterwards, the subject of diversity, inclusiveness, and equity were further explored. ‘Design for Equity: Shifting the Paradigm of Diversity and Inclusion’ and ‘Shifting the Discussion from Gentrification to Poverty: the Role of Designers’ both met Friday. ‘Women in Landscape Architecture: Pathways to Success’ met Saturday. ‘Living with Autism: Case Studies in Residential Community’, ‘The Politics of Landscape: An International Perspective on Environmental Justice’, and ‘Building a Diverse Community: Increasing African-American Representation in Landscape Architecture’ each met Sunday. It is clear, that Landscape Architects everywhere are grabbing this challenge and running with it. Problems facing our communities… landscape architecture steps in. As our communities continue to evolve, grow, and become technologically advanced, landscape architects are increasingly being called upon to step in and lead complex multifaceted problems. Landscape architects have not emerged completely into the light as a profession. They are still, as many would describe, a ‘shade loving species’ who can often stay in the background shadows of the politics of design and only step up when called forward to wrap up a piece here and there. Whether they are looking to create a downtown revitalization project, reprogramming a common civic space, tackling urban planning or the fastidious animal that is gentrification, they are more than prepared to set the tone for the next century for how to best evolve our communities. Programming… an out of control beast? Programming was a hot topic this year as well. Two sessions specifically talked in length about programming. ‘Downtown REDUX: Revitalizing the City Center for the 21st Century’ and ‘The Primacy of Programming: Is it Lowering the Value of Design?” both put the function and outcomes of programing in the hot seat. Programming is a seemingly obvious need for all projects, however, it is the implementation methods for creating a desired outcome which sometimes become a source of contention among designers, policy makers and the public. One example of this tension was felt as one of the speakers proclaimed their frustration for groups like Project for Public Spaces, to which a portion of the crowd boisterously cheered in agreement. Programming can have substantial and far reaching impacts across a community. It becomes the agent through which transformation is kick started and sustained. Without it, communities and designs can become crippled. The Atlanta Beltline in Atlanta, Georgia is one of the most astonishing current examples of not only the power of urban renewal by way of trail networks, but also of the shear strength that a well programmed vision has to generate substance and longevity. Behind the scenes of the conference, everyone stayed loose, hit the streets, caught up with old friends, made some new ones, and enjoyed themselves. The Annual Meeting is perfect for having a great time. If you missed one of the outstanding restaurants, parties, or sessions… look forward to next year. Here’s a brief breakdown of some of the many events. 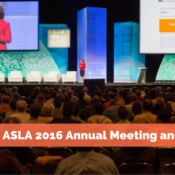 Where would the ASLA Annual Meeting be without our favorite event of the year? This year’s Happy Hour was made possible by the generous sponsors ANOVA, Vectorworks, Permaloc, and ASLA. Land8’s Happy Hour is the go-to for those looking to cut loose and mingle with fellow LA’s. This year, Land8 reserved all three floors of The Maison with live music from The Big Easy Brawlers and a dance party with DJG. Check out our photobooth pics from this year’s Happy Hour. You may have even had the chance to get decked out in tux or gown for the ASLA Council of Fellows Investiture Dinner, attended the Landscape Architecture Foundation’s 31st Annual Benefit as a show of support for excellent research and scholarship, or even hung out at the Annual Expo Reception and Alumni Tailgate. However you spent your time outside of the general and educational sessions, we bet you had a great time and are thrilled to be in such an amazing profession. Until ASLA 2017 in Los Angeles or LABASH 2017 at UMD, Laissez les bons temps rouler! Cameron R. Rodman Associate ASLA, is a Landscape Designer at Stewart Inc., a multi-disciplinary design firm in Charlotte, NC. Cameron is also currently a writer for Land8.com and writes on a variety of topics including event coverage, GIS awareness, book reviews, and current landscape architecture designs. Cameron recently completed a year long term as the National Student Representative to the ASLA Board of Trustees where he enhanced social media communications, chapter president training, and student-professional engagement. Cameron’s current work includes a variety of projects ranging in site scale and programming requirements. At Stewart Inc., Cameron is helping lead the development and implementation of GIS tools as a means of site analysis, site design, storytelling, and public engagement. .
Killin’ It Like A GIS Pro…Landscape Architecture Style. For over a thousand years, we have been creating maps. As children we are fascinated by pirate maps where ‘X’ always marks the spot, theme park maps which take us to our favorite amusement rides, maps of the stars, old school fold out road maps on family vacations, and apps which route our runs. From the Babylonians and Magellan to Ian McHarg and Jack & Laura Dangermond, the story of the map and map making is dynamically evolving. But how are Landscape Architects utilizing maps and how does ESRI’s mapping applications fit into this picture? Here’s the low-down on the history and progression of mapping, ESRI, the use of mapping by landscape architects, and some tips for equipping yourself with ESRI’s suite of tools so that you can go out there and slay it like a pro. Map making and cartography have been around for over a century. Yet, landscape architects have not been using this as a tool since the beginning of our profession; at least not in the way one would normally think. Strictly speaking, cartography has the potential to be defined as a very specific science based on geometry and geography. Arguably, though, it doesn’t have to be, at least not entirely. Garden designers, park designers, city planners, and landscape engineers/scientists have been each, creating their own forms of maps. If we consider maps a simple graphical representation of how we see and communicate elements of a current reality or potential reality, then we can say that these professionals have for some time, used mapping as a tool of their trade. Many examples of communicating through mapping can be found in the work of Gertrude Jekyll, Piet Oudolf, Ian McHarg, Carl Steinitz, Roger Tomlinson, Robert Moses, Fredrick Law Olmsted, and modern day designers such as James Corner, Anuradha Mathur, Charles Waldheim, Luis Callejas, Bradley Cantrell, and the firm Lateral Office. The spectrum of mapping found throughout our profession and related professions is, at the very least, enormous. But times are a changin’ and have been for quite some time. Since the dawn of computers and electronic data our ability to quickly create, consume, analyze, and produce maps has drastically increased. This has never been more evident than in the past few decades with the development of GIS (Geographic Information Systems). This term and trade began to develop in the 60’s and continued to develop throughout the 70’s and 80’s. Possibly the most well-known software developer in the world, and certainly within the design profession, is ESRI (Environmental Systems Research Institute), which was founded by Jack and Laura Dangermond in 1969 and currently has more than forty-one offices around the world (Watch: Geodesign and the Emerging GIS Platform – Jack Dangermond). ESRI’s primary application is their flagstaff program ArcGis for Desktop, which is currently in release 10.3. 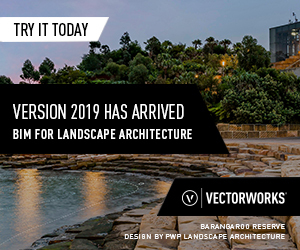 Programs such as ArcGis for desktop and other data management software are expanding the ability of everyday users and industry specific users such as landscape architects. ArcGis for Desktop, in it’s most simplistic form, is a hosting program for various types of data that can be layered one with the other to manage data, produce maps, analyze relationships, visualizing information, and a variety of other data driven functions. Their programs are used in a variety of industries(Commercial, Government, Natural Resources, Utilities, and more) and at least “75% of Fortune 500 companies rely on ESRI software” (ESRI). With the belief that “geography can make the world a better place,” they are arming hundreds of thousands of people with the tools and information to create and bring change to their communities. But what does this mean for Landscape Architects? Will we actually create anything different, new, relevant, or controversial? How will our maps introduce education and change? Let’s take a look at a few ways in which GIS is being used which would benefit the profession of landscape architecture. Here we go! With the proposed Anthropocene underway, we find our cities and natural environments in an ever evolving state of flux. Understanding these current changes, foreseeing future changes, and chronicling our history has never been more important. Landscape architects are now required to more closely work with outside disciplines. GIS is providing us with a common vocabulary that bridges the gap between professional languages. We are also continuing to work alongside planners,developers, health and human services,scientists,engineers,governments,corporations, andinstitutions; all of which use GIS to inform their decisions. Armed with this common tool and language, we are incorporating this knowledge into our designs and our research. This is important as many clients want to prove a return-on-investment (ROI). But this can be difficult to promise solely based on the output from GIS. Like many areas in the professional world, some assume that since we use data to derive a result or plan, the logical product is a scientific result that is absolute and reproducible. This is not always the case. Sometimes, you can put hard data into a computer and get complete junk out the other side, especially if you don’t know what you are doing (say for instance if you use the wrong projection). But that has never stopped progress before though, right? A current change underway is how we share and make available information. While some aren’t on board, many are contributing to and reaping the benefits of ‘Big Data’. Big Data, according to a quick Google search (a big data company), reveals ‘Big Data’ as ‘extremely large data sets that may be analyzed computationally to reveal patterns, trends, and associations, especially relating to human behavior and interactions.” <Google> This citation is a case in point about how Big Data is changing our culture and the quality of our work. The prevalence of various sources of information on the web increases the chance of incorrect information or the misuse and misunderstanding of what ‘good’ data is. We are simply accepting data sources as authoritative and accurate. This is one of the many arguments against big data. But does that cancel out the value of big data? Not entirely. In decades past, our cultures have approached information as a capitalistic commodity. Whoever has the most knowledge, has power. But this too is changing. In the design profession, we hold close our information and many forgo sharing knowledge and experience with the belief that our place of experience will be the one thing that elevates our status or secures our next project. Open data is changing this entirely. Open data is a basic concept that data is freely shared with the public. A perfect example of this is the quickly emerging ‘open data’ websites amongst counties, cities, states, nations, corporations…the list goes on. We are finding authoritative data that is free to use in our projects. Need a street center line as a shapefile? Got it! Need to stream a WMS cached aerial of the state? Boom! How about current weather, demographics, or crime stats? Available! You can even pull open data from multiple sources to find where people are jogging the most, what people are tagging in their photos, and from where. So say you are redesigning a four-mile stretch along the Anacostia River and want to use social media as a collector. What are people looking at? Maybe that is your design focus. Where from? That could be the priority public space to improve. So, what programs should you learn and how are they going to benefit you? There are dozens of ESRI applications out there now. Most of them are great, many of them are not relevant to Landscape Architects. Most schools even have free licenses for students, and individuals can get a single license or multiple. We’ll just name a few here. ArcMap | ArcGis for Desktop – Think of this as your home base from where you can set up just about everything else. Collector – Simply put, collector is one of the most valuable tools that you can get if you are collecting inventory and analysis. ArcGis Explorer – View maps, chose base maps, add local data. ArcGis Earth – Think Google earth now integrate your mapping and design into real world, 3d atmospheres. Drone2Map – Complete land analysis, collect imagery, and more. This is huge considering the FAA’s new rulings! Survey123 – Stream your workflow, stay connected to your team, and do it all with smart mapping. ArcGis Maps for Adobe Creative Cloud – It doesn’t get any better than this for designers. Integration with Adobe! Don’t let our list stop you from exploring. You can find even more applications on ESRI’s website. Be sure to search the web for various examples of maps. Here is a pinterest collection that I keep handy for map reference. If you are interested in learning about these, check out this articles’ associated links and tell us how you use GIS. Keep an eye out for future articles covering GIS software in more depth. For now, get out there and map! 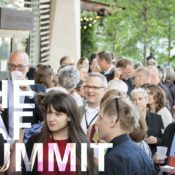 The Landscape Architecture Foundation (LAF) Summit on Landscape Architecture and the Future is over. Landscape architects have returned home all over the country and all over the world. Over 715 landscape architects convened on the campus of the University of Pennsylvania on June 10th and 11th. Attendees came from as far as China, Argentina, and Australia. Many of the world’s preeminent designers, scholars, teachers, advocates, technologists, humanists, feminists, naturalists, and urbanists whom align with the field of landscape architecture were present. They gathered to build upon and redefine the 1966 Declaration of Concern. But, will their efforts make a difference? Will this summit cause any significant change in our profession or our world? While following the #LAFSummit hashtag on social media you may have felt less than excited about the next fifty years of our profession. Or as one tweeter put it, and I loosely paraphrase, it seemed as though the information streaming live was nothing more than a string of vague intangible platitudes. With any amount of luck, we at Land8.com can help fill in the pieces of a very disjointed puzzle known as the #LAFSummit. For those of you who are not familiar with the summit nor the impetus for the meeting, we have to travel very briefly back to the 1960’s. The 1960’s were, to say the least, a decade of change and conflict. Political strife, assassinations, wars, civil rights movements for equality in race, sexual orientation, gender, the expansion of scientific exploration, psychedelic music, hippies, and frisbees. It seemed that if something happened…then it happened in the 1960’s. The 1960’s set the scene for much of what has taken place in the United States over the past five decades. The gloves were off, the challenge made. But did it make a difference? Did landscape architects hear the call? Did they respond? Did they produce “collaborative solutions”? Some would say that landscape architects have answered the call while others would disagree. Surely though the slew of ecological agencies, numerous books and social movements which followed the 1960’s would suggest that many people heard and answered the larger national call the call. And certainly whether landscape architects were a part of these movements is to some degree not debated. But why now? Why a summit? Obviously we are fifty years past the original declaration. A lot has changed in fifty years in our profession, in our country, even globally. Our world is faced with similar, if not the same, problems of equity, ecology, politics, programming, and more. Our scales have shifted to include global ecologies, the distribution of goods and bads, and global markets. The summit was called to reflect on, to celebrate, and critically examine the past fifty years and make declarations of intent for the coming fifty years. The summit provided a precipice from which to gain perspective. Also, unlike conferences or seminars, a summit provides the opportunity for leaders to gather for the purposes of challenging, wrestling, arguing, reflecting, and projecting. It is the setting where one should go big or go home. Day one was met with twenty-four declarations presented in a Pecha kucha like format. These declarations were made by seasoned professionals from the U.S., Canada, Mexico, Colombia, China, Australia, New Zealand, the U.K., the Netherlands, France, Switzerland, and Germany. The range of topics was spread wide and emotions were raw. Developing Landscapes of Resources Management (Alpa Nawre), Into an Era of Landscape Humanism (Gina Ford), The Art of Survival (Kongjian Yu), Landscape City (James Corner), Life Liberty and the Pursuit of Sustainable Happiness: Actions for Interdependence (Randy Hester), and Activist Landscape/Civic Stewardship (Kate Orff) were only a small portion of the declarations made. Through these declarations, everyone was challenged to move forward. To recognize the past as it was, the current as it is, and to lead in the next fifty years. In the next fifty years, our wicked problems will become more layered and complex. Our resources will need to be managed more actively and intelligently, especially in developing countries, and our language of communication to the everyday person will need to develop. Nawre challenges, “There must be a crusading determination on the part of landscape architects to address designs that manage resources critical to human well-being if we are ever to permanently establish and realize the maximum potential of our discipline.” With the ever increasing globalization or our world and our melting pot nation, Gina Ford, ASLA urged landscape architects to diversify our profession, design with equity in mind, and to collaborate and take the lead on our future problems. This rousing series of declarations was closed by renowned Landscape Architects Cornelia Hahn Obelander, Peter Walker, and Laurie Olin. Taking a retrospective look on their experience in the profession and the transition of the field helped to join the previous fifty years with the preceding declarations. After a long and exciting day of stirring challenges, many of the attendees and presenters celebrated the evening at the National Constitution Center. Here LAF awarded the first LAF Medal and the first Founder’s Award. The LAF Medal is given to “a landscape architect for distinguished work over a career in applying the principles of sustainability to landscapes.” The 2016 LAF Medal was awarded to Grant Jones for his innovative work in “the 1980’s and 1990s in many areas”. The 2016 Founder’s Award was given to the American Society of Landscape Architects. The award is “given to a firm, agency, or organization that demonstrates a significant commitment to preserving, creating, or enhancing landscapes over a sustained period of time.” Without a doubt, this is a well-deserved recognition that has been in the making since 1899. If one thought that day two could not top day one’s back to back list of declarations, one was surprised to experience otherwise. Opened by LAF President Kona Gray, the day launched into a back-to-back series of panels on nine topics. Each leader-filled panel was begun with an opening comment followed by brief thought provoking statements from the panel members. Then the crowd was polled for Q&A and a series of final statements were made by the panelist. The crowd peppered the panels with a variety of emotionally charged, deeply thoughtful, and analytical questions which put to test each of the previous day’s declarations as well as the panels opening comments. This was certainly an anything-goes series of Q&A. Most questions imaginable were addressed, and we even saw some obscure questions about Donald Trump and the form one’s patronus would take. The focus and purpose of day two was to examine a pre-set series of topics that are being considered as foundational to our ‘New Declaration’. Everyone in the room (on stage and in the crowd) had a vibrant series of opinions which are certainly going to affect the final declaration to be adopted. The panels were on a variety of topics. We’ll only highlight a few, their conversations, and a few choice quotes from the panelists. *All Panels were moderated by a member of the LAF board of Directors. Each panel member can be explored on the LAF website. Society certainly has a strong position in our profession and has for quite some time, but the way in which it presents itself and the way in which we have addressed, it has steadily changed. As our American culture has changed and our global connectivity increased, a growing focus of the profession has moved to diversity. The panel challenged us to not only think of diversity of race but diversity of equity, to be interdependent amongst our communities, and to give voices to the people – not only those at the top. Anne Whiston Spirn put forth a great concept that our efforts should “move from advocacy to capacity building.” A very critical thought which challenges our previous actions of swoop in and save the day to swoop in, hang out, and help the community find it’s voice – to build capacity for change. Where does innovation find its place in landscape architecture? In the past decades one might say that LA’s have taken a backseat to the decision making and that we weren’t being innovative enough. As a group, we have tended to be more reactionary in nature, responding to requests for solutions. Technology is changing rapidly too. However, “Technology in and of itself does not foster innovation.” (Karen M’Closkey) So what is the place of innovation in our profession? Should we be blazing new trails towards the future and presenting solutions before questions arise and innovating new ways of building cities, manipulating transportation, integrating technology, heath, mechanics, and nature? Academic practice has the distinct opportunity to drive our profession, and setting up the success of academia is arguably one of the best decisions we can make moving forward. Sometimes seen as an outsider to the acting profession of LA, academic practice has the unique capacity to answer a different series of questions which not only inform future decisions of practice but completely redefine those questions which we are being asked as professionals. The remaining panels discussed private practice, public practice, capacity organizations, and a final panel made up of emerging leaders. Unfortunately we cannot review them all here. Each panel had their additions and recommendations for the next 50 years. Private practice will play an important role in the coming years as their critical thinking leads, comprehensive knowledge base expands, and management skills orchestrate. Public practice will be no less vital to bridging the gap with their technical abilities and skills sets. The public sector is now looking to landscape architects more and more to solve our world’s problems: ecological, physical, and social. Two important avenues for building this critical mass is through capacity organizations like the International Federation of Landscape Architect (IFLA), The Urban Land Institute (ULI) and the American Society of Landscape Architects (ASLA). The second avenue is through our future professionals. Hopefully, now you have at least a vague understanding of the monumentality of this meeting and the breadth and depth of topics covered. A lot has happened in the past 50 years. Many of our problems still linger. We have made some advancements in ridding our society of some of these problems while others still fester. Yet, what now? Where do we go from here, and what is going to happen with this groundswell of conviction and opinion? Here’s what you need to know. First, don’t fret missing the Summit. Every single declaration, conversation, and panel was recorded and will be released via LAF sometime this summer or fall. In time, a book will be released marking the occasion and the conversations. Watch LAF for more news on this in the coming year. A lot is happening in our profession right now. Our world is quickly changing. What will you declare? Where will you make your summit? UTK’s Phi Mu Sorority House gets a fresh start from Landscape Designer Brandon Orrick. With recent campus projects and campaigns comes the newest additions of student housing. All of the sorority houses in the university are completing their finishing touches on their housing as the year begins. Graduate landscape architecture student and Landscape Designer Brandon Orrick, had the opportunity to work with three of the sororities to design their new grounds surrounding their houses. Here’s what he had to say about his experience and his ideas behind one of the designs. In 2012 I was given the opportunity to do a planting design for the Phi Mu sorority at the University of Tennessee new sorority village. This was one of my first jobs after graduating the Landscape Design program at UT, yet I had been practicing for years prior to this, I wanted to make a strong statement about the quality of education I had received at UT, and give back to the University that had given so much to me. As most landscape designers know, or will soon find out there is always a small budget, when it comes to the landscaping in an institutional project funded by donations and fund raising. What most people don’t know is that 10-20% of your buildings value should be invested into the landscape. It’s the first thing visitors see when entering the building and the last thing they see when leaving. The project parameters were to create a simple, low maintenance, usable landscape. The client wanted the sorority’s colors (pink and white) to be represented in the plant choices, and the ability to take cut flowers during selected times of the year. I presented the idea to play off the buildings architecture and keep the landscaping formal with straight lines and height on the corners to frame the front facade. The pallet is the classic formal garden plants, Boxwood, Pink Drift Roses, and seasonal rotation. Along with the southern touches of Little Gem Magnolias, Cherokee Princess Dogwoods, pink encore azaleas, and Annabelle Hydrangeas. The front walks are lined with boxwoods, which encompass massing of roses, fronted by rotations of seasonal color. On the corners of the house little gem magnolias act, as the frame for the house to set within. The sides of the house receive a bit more shade, which influenced the idea of a different pallet of hydrangeas as a backdrop for encore azaleas flanked by autumn ferns, all shaded by dogwoods. To ensure a low maintenance landscape the plants were placed based on four years of growth and irrigated with drip irrigation to ensure no waste of water. In the end the client was happy and ended up referring me for other projects. Anyway, our conversation centered briefly around computer graphics as a means for representation. We both felt uneasy about the misrepresentation of certain elements in an image. For instance, when composing a representation in photoshop leaving out elements that would, in reality, exist. I don’t believe our discomfort with this exists because we believe that some basic and unbreakable rule has been broken, or that some deeply rooted truth has been violated. We recollected a variety of styles which are popular today. Montage is very popular and performed very artistically by some. One could say too artistically. I don’t however. I enjoy seeing these works. Valerie Friedman created some very simple images for her recent thesis at the University of Tennessee’s Graduate Landscape Architecture Program (by simple I mean a minimal amount of extraneous detail and an excellent use of transparencies). I find that these montages are very suggestive in the few elements that they use. Moods are implied and shape, form, scale, and perspective are all perceivable. It really is great. My friend and I also considered some of the digital examples from some European Design firms. The colors are out of place and in disagreement and objects are out of scale. There seems to be a poor attempt at using a newly learned skill. I would at least question publishing an image for which one is not fully skilled at producing. I don’t mean to be too harsh though because I too lack the skill of craft in many of my areas of development. Digital and traditional representations are two of these areas. CLOG is an on-line publication which publishes four times a year. The most recent issue was about ‘rendering’. One example they discussed was the tendency of some Asian production studios to use American skylines behind local designs. “…much of why renderings take on a different role in China as compared to…many Western countries. Unlike the built reality of China’s growing cities, renderings serve as fantasies of urbanization rather than true reflections of the urban condition.” (p. 31) My favorite distasteful piece was a panda taking a picture of a couple who was running through wildflower fields while wearing wedding outfits. Come on. Apparently, not everyone is using digital representation to achieve a similar goal. Some look to address the mood, some the desirable future (however unrealistic) while some are required to represent in a fashion that places in view every inconvenient tree lamppost, and weed which blocks a view to a design. From a very practical view Olin expresses the importance of working out design through sketching. The testing of reality perhaps one could say. So, is there a place for unrealistic representation? I prefer photo realism myself but I am starting to see the importance of other types. Perhaps these ‘unrealistic’ representations continue a sense of dialogue that would otherwise be diminished or stopped by a ‘final print’. Yes we definitely need those who can produce construction documents and buildable landscapes and structures, but maybe that misses the point of architecture. After all, aren’t we in the business of imbedding design with meaning? Every place is unique. Every region has its own set of qualities which sets it aside from other regions across the United States. In project #2 we were required to look at and distill the qualities found in our region; the South Eastern United States. We were to then take this information and create a regional garden located on the grounds of the Knoxville Botanical Gardens and Arboretum. I decided to question the program of creating a garden and see if it was possible to create an overall atmosphere within the existing gardens that would align it to the regional qualities. Would it be possible to create a large scale garden? I decided to give it a try. Through the process I asked myself multiple questions which teased out the qualities that one would use in designing a small scale garden and applied them to the larger property. I designed a site which would convey the five distilled qualities that I observed in the region south of Seymour Tennessee. Each of these five qualities interacted with land in some way. The five qualities are Trees as screen, man’s structures and how they inhabit the land, man’s roads and how they travel through the land, the sky and how it meets the land, and water and how it travels through the land. I sought to communicate the design process and final design through sketching, hand rendering with markers, hand rendering with Photoshop, photomanipulation, and diagramming. I had one process board for initial research and one final board for presentation.